The song “Wish She Could Vanish” from the upcoming netra album to be entitled “Sørbyen” has now been made available for streaming and free download. This is the first track to made available from the upcoming album, which will see a release on Hypnotic Dirge Records in the summer of 2012. The next track to be made public from this album will be the track “Concrete Ocean” which will likely be made available in early June! At first, there was nothing but these memories of a cold and grey urbanism. It is meanwhile walking down the streets of Kemper, France, that netra was first thought of, back in 2003. Nothing else could convey these horrible feelings, this underlying depression and boredom of city life. Seven years and two demos later, netra raises the interest of Nick Skog, owner of the Canadian label Hypnotic Dirge Records, thanks to whom the first album “Mélancolie Urbaine” is finally brought under the spotlight in December 2010, to high acclaim from listeners and the press around the world, with some writers expressing that it was one of the best releases of 2010. With influences ranging from the moodiest jazz music to black metal and trip-hop, netra has always been about challenging the listener’s open-mindedness. 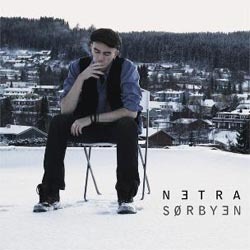 Two years and a moving to Norway later, netra finally comes back with a second full-length entitled “Sørbyen” to be released this summer.